What does General Contracting system provide? What is the definition of the extract? The extract is the value of the executed works of the contracting contract between the client and the owner during specific period. What are types of known extracts? 1. Internal extracts, called executed extract, shows work path during the project and progress level in work. 2. External extracts, called financial extract and it is a financial request from the executed party of executed works amounts, its types: current and final. What is the difference between the extract and the invoice? 1. The extract shows the previous and current works amount reaching to the total amount of the works till its date. 2. The invoice shows only current works value, and in both cases the value after execution is called the executed quantity. What are babel solutions to manage owners extracts? 1. Import project work items from Excel or another project estimate as it exceeded hundreds. 2. Monitoring advanced payments and its guaranties, deductions and the reserved amounts. 3. Treating sales tax on the extract, either with tax or without tax. 4. Monitoring tax dues and paying it from the origin directly either cash or check or payment order. 5. Recording the detailed deductions on each extract of stamps, fees, union crafts. 6. 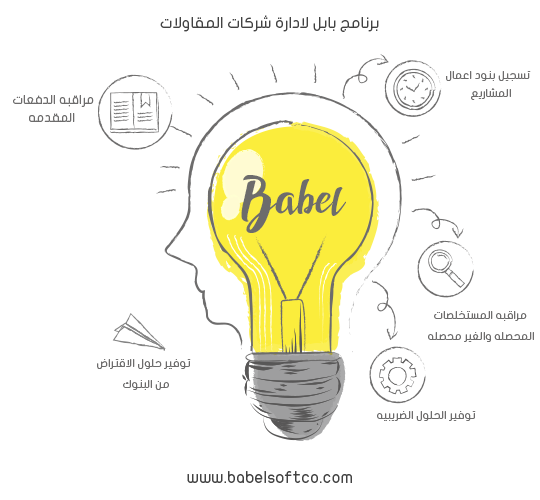 Treating recording previous extracts of the project from its beginning when using Babel. 7. Monitoring the collected and uncollected extracts and issue number for each extract to be revised by the owner. 9. Treating direct issued orders that executed on the project during work. 11. Treating work items that executed under execution rate of the total quantity as paints works. 12. Creating the financial entry of the extract, automatically print and control the accounting direction. 13. Directing the extract accounting according to each work item separately. What is the letter of guaranty? It is a written commitment issued from the bank under a request from the client; the bank undertakes paying the amount of the guaranty or renews it for the beneficiary party when required, as request date or renewal date should be the due date at maximum. What are the features of the letter of guaranty? 1. Issued from a bank. 2. Pay guaranty amount when requested. 3. Guaranty is not a check or draft or cash, it cannot be exchanged or endorsed. 4. The beneficiary approval of the letter is guaranty is not necessary to the guaranty validity. What are the types of the letter of guaranty? 1. Primary letters of guaranty, to ensure seriousness of the client to contract or bidding in tenders. 1. Granted letters of guaranty from external bank to local beneficiary or issued letters from local bank to external beneficiary. 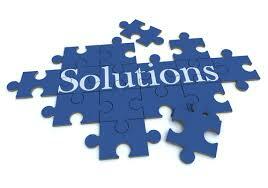 What are the solutions to manage letters of guaranty? 1. Treating bank commissions and special expenses of guaranty. 2. Monitoring bank granted facilitates and the allowed limit of finance. 3. Ability to increase or decrease letters of guaranty at any time. 4. Monitoring required letters of guaranty to be released or renewed. 5. Monitoring expired and required releasing projects. Expired required releasing guaranty projects.